Space Commander™ has recently completed a major project for a church-based provider of retirement and aged care accommodation. We were engaged to install 73 basement garage storage units at their newly completed retirement village in north western Sydney. Space Commander™ Over Bonnet or Double Decker storage units were positioned at the end of every car park space to provide valuable and space efficient storage for residents. The project also required the design and manufacture of a custom sized unit. 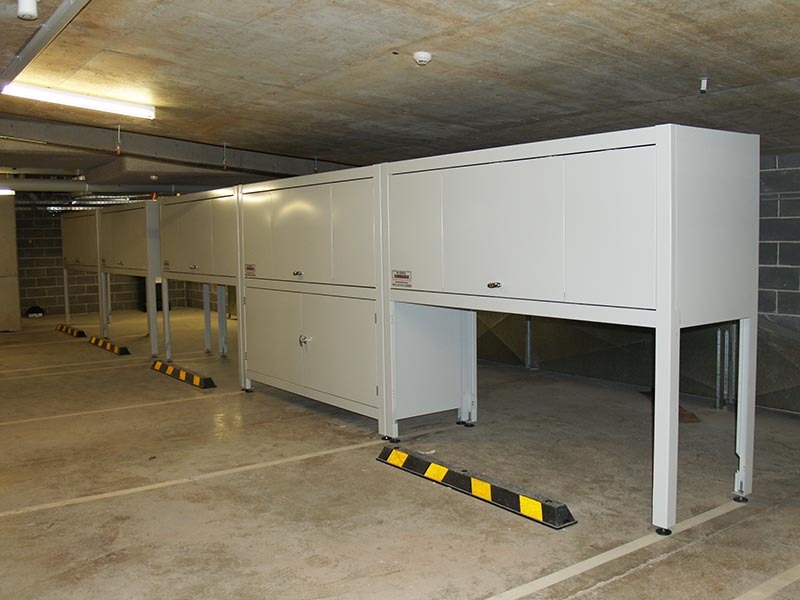 In order to fit under low hanging garage services and structural concrete bulkheads we created an Over Bonnet storage unit with a total overall height of 1850mm, reduced from our standard 2m high unit. By virtue of our range of models, sizes and ability to custom make units to specific dimensions Space Commander™ delivered a complete garage storage solution, maintaining a neat and consistent appearance across the 3 car parking levels of this major addition to retirement accommodation in Western Sydney. If your project requires apartment storage units for the basement car park, contact Space Commander™ Garage Storage Solutions on 1800 006 090. Our range of Over Car Bonnet storage units, Double Decker storage units and Custom models will solve your storage problem neatly, efficiently and cost effectively.